There is so much to do at this Decatur corporate housing option. 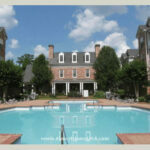 Amenities at this beautiful apartment community include a resort-style swimming pool, fitness center, . . . Almost Home Decatur corporate apartments are everything you want and more. This beautiful, gated community is conveniently located less than a mile from downtown . . .
We serve the entire Decatur area including North Decatur, Scottdale, Avondale Estates, Druid Hills, Clarkston, Downtown Atlanta . Step into Almost Home Decatur GA corporate housing and enjoy luxury living and outstanding customer service that our clients have come to expect from us. 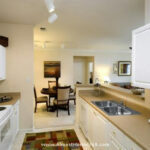 All our furnished apartments are fully tailored to meet whatever needs you may have. Should you be considering relocating to Decatur GA or needing short term housing for business reasons, having some knowledge of the area is helpful. To that end, Almost Home provides a brief look at this beautiful little town. Economically, Decatur is showing strong growth in jobs and earnings as it moves forward. At present the largest employer in the city is the County government and the satellite offices of Emory University. The US Government also is one of the largest employers here, with the Department of Health and Human Services supporting the CDC. Education is also one of the pillars of the economic base, with the city's schools employing a large number as well as Agnes Scott College. Packing for your stay in a Decatur corporate apartment should be fairly easy as dressing light is just about always appropriate. The climate here is what you would expect for the south. It is warm in the summer and can reach into the 90s. It is also humid. In the winter the temperature can fall to a low in the low 30s. However, warmer temperatures would characterize the majority of time in this region. Decatur is a suburb of Atlanta and lies directly east of it, within The Perimeter, the I 285 radius. There are no major Interstate highways that pass through it but there's easy access to it. From downtown Decatur, you can take Ponce De Leon Ave NE directly into Midtown Atlanta. So, no matter where your Decatur temporary housing is, your connection to downtown Atlanta is not too difficult. Iberian Pig on Sycamore St.: This place has a very well stocked bar and a magnificent kitchen that creates some of the best food in town. The menu is filled with fine cheese like Manchego and Monte Enebro, as well as Tapas Menus that are bursting with delicious finger treats like Albondigas and Chorizo Con Jerez. There are Cocas, flatbreads that are mouth watering, and grilled tenderloin and Cabrito Carbonara that brings delight to every meal. The food here is exceptional and it is something very different from the usual fare. So be prepared to treat yourself and savor the delicious flavors, textures and aroma of Spain. Cafe Lily on W Ponce De Leon. : The food here is tinged with flavors of the Mediterranean, including Italy, Spain, Greece and the Middle East. The atmosphere is suitable for a business dinner or even a romantic dinner for two. The cocktails are divine, with mimosas, Bellinis, Champagne as well as wine. They have bottomless glasses on Thursdays. Leon's Full Service on E Ponce De Leon: A full service bar together with a kitchen that can prepare almost anything makes this place a must to visit. They have a great cheese selection to go with the wine and cocktails. They also have a superb menu of pub frites. Try the cucumber-dill yogurt and the garlic aioli as your dip. A unique item is the grass fed burgers that have a distinct taste together with the Tillamook cheddar and house made catsup and mustard. The medley is heavenly. As for dessert, try the espresso mouse or the maple buttercream. Cakes & Ale on Sycamore St.: If you like sweets, then this is the place you will retire to almost on a daily basis. The desserts are filled with some of the best cakes one can imagine. Try the flourless chocolate cake with pumpkin anglaise or the Hazelnut Bavarian Cake with the nougatine and the Apple Chiboust with the currants and cinnamon ice cream. Make sure you pair it with some of their great coffee. The Brickstone Pub on E Court Square: A quaint place with good food, nothing too fancy, but a great place to visit frequently for good food and drink. They have a good selection of beer from bottled to draught and a good wine list as well to take the edge off at the end of a great day. The appetizers are delicious. The Ale Fingers are scrumptious and the Cast-Iron Raclette is awesome. As for sandwiches, try the pork belly sandwiches, the meatloaf sandwich, or the beer braised bratwurst with spicy mustard. Things to do Near Your Decatur Furnished Apartment Living in a Decatur furnished apartment gives you an opportunity to enjoy the calm of the suburbs, yet indulge in the conveniences of a metropolis. On its own, Decatur has a lot to offer everyone within its border. There is no need to adjust your expectations, as you will be pleasantly surprised. Museums: There are a few museums in Decatur that will give you a sense of what this town is about. You can start with the Fernbank Museum of Natural History on Clifton Rd NE. Another good one to visit is the Fernbank Science Center on Heaton Park Dr. There are a number of museums in Atlanta you could visit too. Performing Arts Centers: You will find a wide array of plays, symphonies, music and performances at the Porter Sanford III Performing Arts Center and Community Center on Rainbow Dr. This an acoustically superior facility that hosts regular performances. Keep track of their calendar. Parks and Recreation: The City of Decatur Parks and Recreation is responsible for the maintenance and upkeep of all the parks and recreation centers in the city of Decatur. Glenlake Park is located on Church St. Another Park that is quite charming is Scott Park on Sycamore St. Mall: There is one mall in the Decatur area. North Dekalb Mall has everything you need from a typical mall including the regular Macy's, Burlington Marshalls and even AMC theaters.